Dream magic is something I did a lot as a teen but less now. However, it can be incredibly useful if you keep in mind that it’s a dream. The storm clouds tonight are lovely. Here’s some quick things to keep in mind when dealing with dreams or dream magic. Dreams do not mean reality. Don’t confuse the two. Dreams are an incredibly personal and individual thing. Each person has their own system of personal symbolism derived largely from environment, past experiences, education, and culture. So an encyclopedia isn’t going to help a whole lot beyond giving you a jumping point for your search. Sometimes dreams are just dreams. This is one of those fields that gets… murky when we talk about separation. I define it as this: dreaming is internalized and in your own head. Astral projection or Out of Body Experiences (OBE) take place in this realm or plane of existence but happen externally, outside of your body. Astral travel is an astral project or OBE that goes elsewhere, to another realm of plane of existence. That doesn’t mean the realm of dreams aren’t connected to this realm or the spiritual realms. I think they are connected and you can slid in and out of them fairly easily. So it’s really more of a matter of semantics and fine-point differences that we can’t readily agree on. I think of things this way: Does the experience matter to you in some way? Even if you only get a laugh out of it, that experienced mattered for that moment. If so, then it doesn’t matter what that experience actually was so long as you derive something from it. So a vision or religious experience could be gained from sickness or drug-induced and it can still offer relevant experience and meaning for you. Smoking dragon. I love this incense holder. Shout out to Demon's Souls in the background. As a whole dream magic can be lots of fun and interesting. Often used for helping out in shadow work or introspection, it can also be a form of divination. However, you can get a lot of inspiration or answers from dreams. Even objects or symbols like sigils can come from dreams. The most common kind of spell seen here are simple, often using herbs or stones to help encourage dreaming. This typically is followed by statements of intent or keeping the exact purpose behind your dream magic in your mind before you fall asleep. Some people will even dream of rituals or spells continuing after they’ve gone to bed. It’s like a second part of the spell or ritual. Pretty useful and is a neat way of putting out more energy into the world. Many people have trouble remembering dreams. Just because you don’t remember a dream doesn’t mean the dream magic didn’t work. It may come back to you or maybe it’s done but you weren’t suppose to remember. Because, as mentioned above, it’s commonly believed that the realm of dreams is a shared space or can be accessed by others, you can actually walk into someone else’s dreams. You can even alter or implant ideas in someone’s dreams, encouraging them upon waking to do something you want them to do like call you or skip work. They might even look for something for you, even if they wouldn’t have thought of it before. These sorts of things tend to appear as unshakable feelings in the target. This might cross into moral gray areas so tread carefully. The frost crept across the inside of my windshield during the reunion. Ah Jack Frost, beautiful as always. For example, I often dream of full, detail-chocked novels with complicated characters and twisting plots. Sometimes they’re nonsensical and other times they are so complete that they simply need to be written down. My Lavender Dreams flying ointment came to me in a dream. Upon waking I immediately wrote down the ingredients and within an hour created a new flying ointment. I’m also in the process of writing up my own oracle. Each card comes from a dream or has a dream inspiration. Originally written over on tumblr. Sign up for my newsletter to get the latest news, folklore, and a free three card reading every full & new moon! 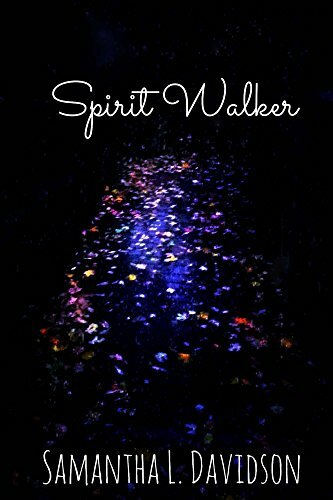 Spirit Walker by Samantha L. Davidson available now. Get exclusive content & monthly rewards on Patreon! Fill the tip jar! Say thanks for a great reading or good content. Got to play in the water today. Are New Homes Less Protected From Spirits?